Benchmark indices settled in the negative territory on Thursday while the rupee also dropped 60 points against the US dollar after the Reserve Bank of India (RBI) cut the repo rate by 25 basis points to 6 per cent in the first bi-monthly monetary policy meet of the financial year (FY) 2019-20. The S&P BSE Sensex shed 192 points or 0.49 per cent to settle at 38,685. Reliance Industries, TCS, Infosys, ICICI Bank and IndusInd Bank contributed the most to the index's decline. Out of 30 components, 17 scrips ended in the red. The Nifty50 index of the National Stock Exchange (NSE) ended below 11,600 level at 11,598, down 46 points or 0.39 per cent. 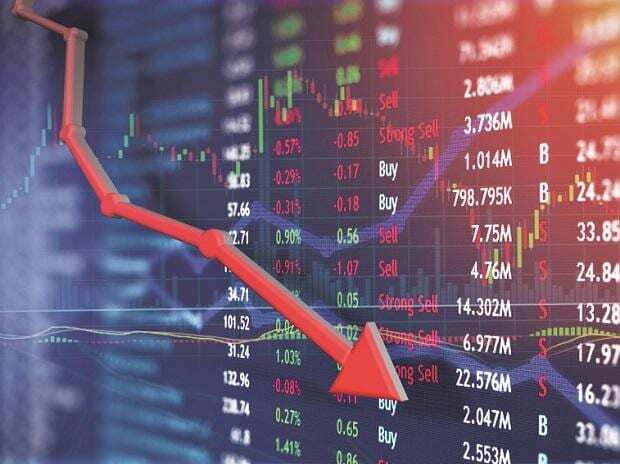 Except the Nifty Auto, Nifty FMCG, Nifty Media and Nifty Pharma, all other indices ended in the red, with Nifty IT index and Nifty Private Bank index dropping 1.37 per cent and 0.82 per cent, respectively. In the broader market, the S&P BSE MidCap index ended 21 points or 0.14 per cent lower at 15,413, while the S&P BSE SmallCap index closed the day at 14,938, down 47 points or 0.32 per cent. Shares of interest rate sensitive sectors like the bank, real estate, and automobiles ended mixed on the bourses after the Reserve Bank of India (RBI) on Thursday cut the repo rate by 25 basis points. The Nifty Bank index and Nifty Realty index slipped 0.63 per cent and 0.07 per cent, respectively, while Nifty Auto index gained 0.66 per cent. Jet Airways (India) pared initial losses to end the day 3.52 per cent higher at Rs 259.95. Pidilite Industries shares traded higher for the fifth straight day, and ended almost 1 per cent higher, at Rs 1,288 on the BSE. SRF shares gained 4.47 per cent to end at Rs 2,487.10 but also hit the 52-week high of Rs 2,500 in intra-day trade after the company informed about the resumption of operations at its Gujarat plant at the earliest.